When Rangers upgraded Graeme Murty’s managerial status at the club from “interim” to “permanent” three days before Christmas, managing director Stewart Robertson suggested he and his boardroom colleagues may have a “very easy” decision to make at the end of the season. 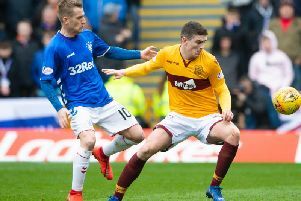 That is when the Ibrox power brokers will determine whether Murty remains in the job beyond the summer, with Robertson having already indicated that the 43-year-old is in “pole position” should he continue in the same vein which persuaded them he deserved what is effectively an extended audition for the role. No-one can doubt that Murty is making a strong case. He has brought stability, direction and a genuine sense of purpose to a squad which appeared rudderless and disunited under the chaotic tenure of Pedro Caixinha. But the acid test Murty is about to face is the same examination which ultimately determines the credibility and potential longevity of any Rangers or Celtic manager. If Robertson & Co are to be faced with the simple choice of the continuity they crave at the end of May, it can only happen in circumstances in which Murty has proved himself capable of winning Old Firm games. the Ibrox club to the winners’ enclosure, victory in at least one of the two forthcoming Old Firm showdowns is imperative. Sunday’s Premiership fixture at Ibrox offers Rangers an opportunity to cut the gap to Celtic at the top of the table to just three points, albeit having played a game more. The six-in-a-row champions would still be strong favourites to retain their crown but, for the first time since 2011, there would be substance to talk of a title race. Perhaps Murty’s more realistic opportunity for silverware is the Scottish Cup, in which holders Celtic lie in wait in the semi-final at Hampden on 15 April. Either way, the onus is firmly on the former Rangers under-20s coach to provide substantive evidence he can challenge the dominance his opposite number Berndan Rodgers has established in the fixture. Kicking off with the 5-1 derby demolition of Mark Warburton’s team in September 2016, Rodgers has reigned supreme over Rangers with six wins and two draws from his eight Old Firm outings so far – with an aggregate score of 18-4 in his favour. While Rodgers’ success is also measured against other factors, such as Champions League qualification and improvement to individual players, there is no doubt that keeping a firm grip on Old Firm bragging rights has been hugely influential on his popularity with Celtic fans. For anyone in charge of either of the great Glasgow rivals, it was ever thus. Unless or until an ability to win Old Firm games is demonstrated, it is impossible to be perceived as a manager of real distinction by two of the most demanding and unforgiving sets of supporters anywhere in football. 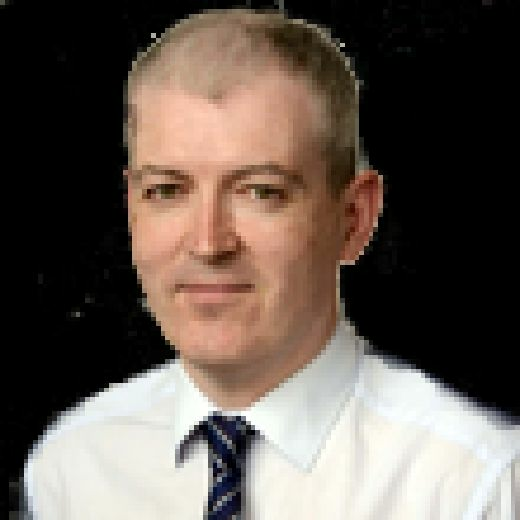 There are many case studies to illustrate that point and one of the best examples is that of Alex McLeish, whose appointment as Rangers manager in December 2001 provoked an underwhelmed and even sceptical response among some Ibrox fans who had just seen Martin O’Neill spectacularly shift the balance of power in Celtic’s favour. McLeish’s approval rating soared quickly, however, with a League Cup semi-final victory in his first joust with Celtic. He was unbeaten in his first six Old Firm games, including the 2002 Scottish Cup final. While O’Neill would reclaim the upper hand for a lengthy spell, McLeish’s overall tenure at Rangers would be reflected on as a success principally because of the victories he engineered over Celtic. Likewise, McLeish’s close friend Gordon Strachan finally began to win over the Celtic fans with back-to-back wins over Rangers in the League Cup and league in November 2005, laying the platform for his recovery from a difficult start. It’s certainly no coincidence that many of the managers who have been chewed up and spat out by Celtic or Rangers through the years failed to strike a single telling blow against the team from across the city. For John Barnes and Tony Mowbray on one side of the great divide, there are equivalent casualties in Paul le Guen and Caixinha on the other. So the challenge now facing Murty, if he hopes to remain in the Rangers technical area come the start of next season, is clear and unambiguous. Regardless of how effectively, diligently and impressively he carries out other aspects of the job, durability and credibility as an Old Firm gaffer are ultimately defined by just one fixture.